HIKONE, SHIGA PREF. 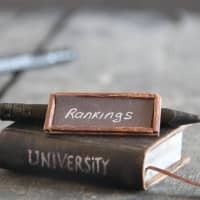 - A glance at the World University Rankings, published last September by the Times Higher Education, reveals the following major changes in the rankings compared with the previous year. Tsinghua University of China moved up to the 22nd position — the highest among institutions of higher education in Asia — surpassing the National University of Singapore, which was the top university in Asia for the previous five years but placed 23rd on the latest list. Ten Asian universities outside Japan — six in China (including Hong Kong), two in Singapore and two in South Korea — were among the global top 100. As in the past, Japan had only two schools in that range: the University of Tokyo, placing 42nd; and Kyoto University, at 65th. While six Chinese, three South Korean and one Taiwanese universities were ranked between 100 and 200, no Japanese institutions were in that bracket. The contrast is stark between the big strides made by Chinese universities and the poor performance of Japanese institutions. In 2013, Prime Minister Shinzo Abe declared that he would make 10 Japanese universities rank in the global top 100 within 10 years. Abe placed reform of the nation’s university education system among the priorities in his economic growth strategy, and set the numerical target based on the World University Rankings. Indeed, that goal appeared to be within reach at the time. In the rankings published in October 2013, five Japanese universities ranked among the world’s top 200 — the University of Tokyo placing 23rd, the highest among institutions in Asia, Kyoto University 52nd, the Tokyo Institute of Technology 125th, Osaka University 144th and Tohoku University 150th. In subsequent years, all of these institutions fell to lower rankings, leaving only two of them among the top 200 last year. Ironically, China has scored a big success in promoting its university education reform — similar to one conceived by Abe. It now appears all but certain that 10 Chinese institutions will be among the world’s top 100 schools by the early 2020s. Indeed, three of the six Chinese universities that placed between 100th and 200th last year ranked 110th or higher. One factor behind the performance gap between Chinese universities and Japanese universities is a huge difference in the number of students from China and Japan undertaking postgraduate studies in the United States. In 2017, 79,580 Chinese were studying the sciences (including natural sciences, psychology and social sciences) at graduate schools in the U.S., far outnumbering the 990 Japanese in the same category. Of those 990 Japanese students, 410 were studying social sciences. The number of Japanese postgraduate students studying natural sciences in the U.S. is a mere 0.8 percent of their Chinese counterparts. A key factor that ranks universities worldwide is the number of papers written by professors, lecturers and researchers in English and published in international specialist publications, and the frequency of citation of such papers. 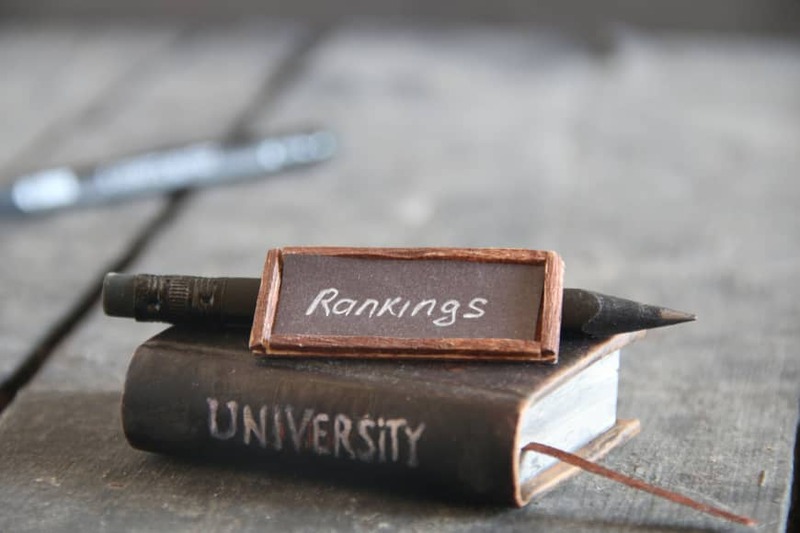 The Times Higher Education determines the global university rankings on the basis of the weighted average of the following five factors, with each factor’s maximum points being 100: “teaching” (with the weight of 0.3), “research” (0.3), “citations” (0.3), “industry income” (0.025) and “international outlook” (0.075). International outlook, which covers the ratio of non-native students and teachers at each school, has the weight of a mere 7.5 percent. The education ministry, however, has made it a top priority to increase the number of students from abroad and encouraged universities to have more classes taught in English. Unfortunately this policy is far off the mark. It is ridiculous to expect outstanding students from other countries to come and study at Japanese universities and graduate schools, which are given low global rankings based on evaluations of their education and research. Currently, Japan is host to nearly 270,000 students from other countries, with 93 percent from Asia — including 40 percent from China, 23 percent from Vietnam, 8 percent from Nepal and 6 percent from South Korea. Following Beijing’s adoption of a policy of economic reform and opening up, a large number of outstanding Chinese students enrolled at Japanese graduate schools in the 1980s, when Japan’s economy was growing rapidly. But in recent years, perhaps because Japan and its universities have become less attractive, most talented Chinese students choose to study at graduate schools in English-speaking countries, making it rare for brilliant students from China to come to Japanese institutions. I doubt that the global rankings of Japanese universities will start going up in the future, for the following reasons. First, even the University of Tokyo and Kyoto University score low in the “citations” category, which has a 30 percent weight in determining the overall ranking. Since the citation frequency of papers written by Japanese university professors, researchers and lecturers is extremely low, it is next to impossible to elevate the score in this category. Second, the number of Japanese students enrolled at American graduate schools has drastically declined. Because the U.S. leads the world in most of the scientific and academic disciplines, receiving high evaluations in the U.S. has become a decisive factor for global evaluations. Third, authoritarianism deep-rooted in Japanese academia is damping the motivation of young researchers. Fourth, the government’s budget to support higher education and research programs is too meager. Government grants to national universities have been reduced by 1 percent every year, forcing many young researchers to settle for low-paid research jobs with limited terms. This leads many bright graduate students to seek employment in the corporate sector. While huge sums of research funds are granted to a limited number of university teachers, a large majority of others lament the shortage of funds to support their research projects. I do not think that the government money is distributed in a fair or efficient manner. Fifth, most of Japanese university instructors in humanities write their papers only in Japanese, thus gaining little or no recognition in English-speaking countries. Each of the five problems I have cited to explain why Japanese universities rank low globally is so deep-rooted that a quick overhaul can hardly be hoped for. Even if reform is quickly carried out, nearly a decade will be needed before it bears fruit. Dark clouds hang over the future of Japanese universities due to the government’s failure for decades to recognize the importance of education and research.